Thrilling performance, beautiful design, pioneering innovation. 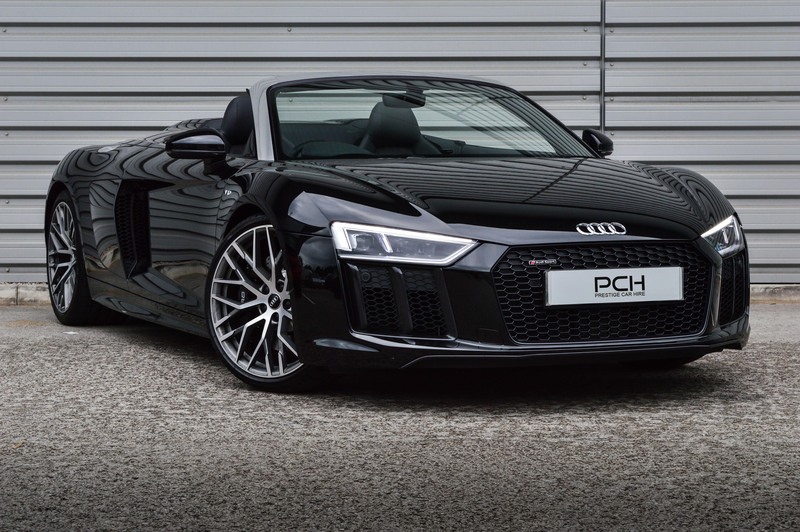 One of only 999 made, this limited edition Audi R8 V10 Spyder is a perfect combination of all three, making this the German manufacturer’s most powerful road car to date. Taking its inspiration from the track, this heart-pounding car delivers pure adrenaline with its 7-speed S-Tronic transmission, allowing for gear changes within hundredths of a second with virtually no break in speed. The fastest car in Audi’s history, the R8 V10 rental can reach 0-62mph in a blistering 3.5 seconds and has a top speed of 197mph. With a Lamborghini-derived 5.2 litre engine, the sheer power of this car is unleashed via the Quattro permanent all-wheel drive system. The engine provides a multi-layered growl even travelling at normal speed, and when the ‘sports’ button is hit, it unleashes a satisfying roar. Inside the high-performance vehicle, two quilted, racing style bucket seats with folding backrests serve to create an authentic track-racing vibe to your driving experience. 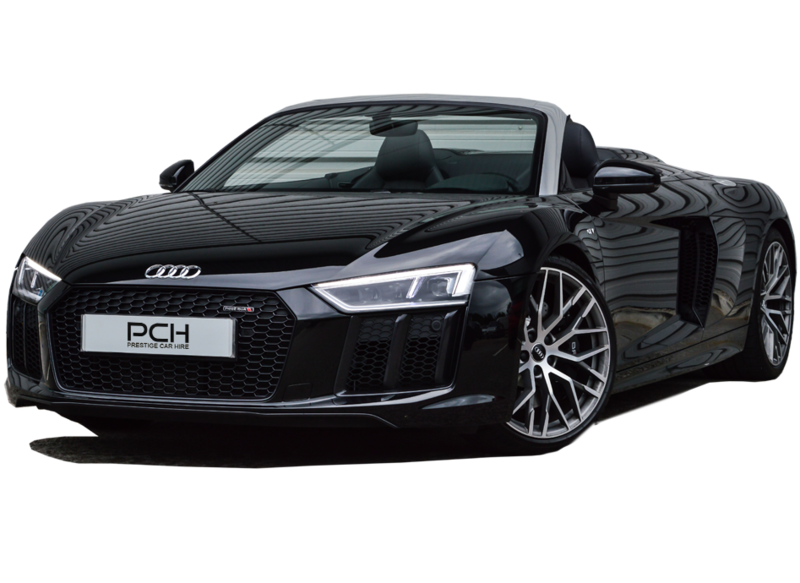 Rent an Audi R8 Spyder from Prestige Car Hire TODAY! We've found these cars with a similar 0-62mph time to the Audi R8 Spyder.